Whose liable - operating drones for your employer? Whose liable – operating drones for your employer? Most people who operate drones professionally in Australia know that commercial operations can exist in either the licensed category or excluded category. What is less understood is that the liability profile, including who holds the liability may differ between the two categories. The benchmark for commercial drone operations is undoubtedly fully licensed operations. Being fully licensed means the Remote Pilot holds a Remote Pilot Licence (RePL) and the company holds a Remote Operator Certificate (ReOC). When operating in the licensed category, the company is deemed the operator and they appoint a Chief Remote Pilot. Whilst legislation generally protects employees from liability, a peculiar situation may arise under the Excluded Category where the pilot in command may find themselves joined to a legal proceeding by virtue of the fact that the Excluded Category is an individual operation and not one strictly attached to their employer. There are perceived benefits to operating Excluded Category drone operations. For example, Excluded Category drone operations are less administratively burdensome, not requiring flight authorisations and job safety assessments. 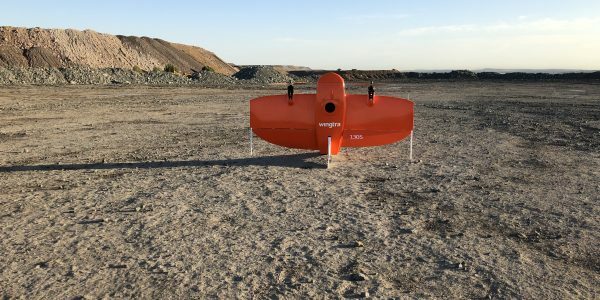 Excluded Category drone operations appear less costly with pilots not requiring licensing and the company not requiring to apply for and maintain a Remote Operator Certificate. Excluded Category drone operations are also easier to commence, currently only requiring completion of an online notification at the CASA website five days in advance of the first job. Licensed commercial drone operations provide the greatest flexibility in terms of aircraft operating types and locations, as well as facilitates permissions, approvals and exemptions otherwise not available to the excluded category. Notwithstanding the benefits, some entities are choosing to operate in the excluded category, accepting the categories limitations, conducting commercial drone operations with various levels of compliance and success. Excluded Category drone operations have some very significant drawbacks. The biggest drawback, for all but the smallest operators, relates not to the operator, but to the individual operating the aircraft. As an Excluded Category drone operation, the pilot in command is, from a legal perspective, the operator of the aircraft. Due to the way in which the commonwealth government holds jurisdiction over drones, this opens the door to potentially unlimited liability to be placed upon the pilot, rather than the pilot’s employer. In short, by virtue of the definition of aircraft in the Civil Aviation Act, incidentally including drones, several pieces of ancillary regulation originally intended for manned aviation apply to drone operations. Of potentially most significance are the Commonwealth and state legislative regimes relating to ground damage by aircraft. Under the Commonwealth Damage by Aircraft Act ‘the owner and operator of an aircraft are jointly and severally liable for bodily injury or property damage caused by an aircraft accident without proof of intention, negligence or other cause of action. In essence, this legislation sets up a system where someone will always be liable, in the case of excluded operations, the pilot is included, potentially to an unlimited amount. This liability stands if there is a loss to a third party, regardless of the fault or otherwise of the liable party (read pilot). Due to the fact drones commonly utilised in the Excluded Category are usually at the lower end of the market it is foreseeable that at some point an issue will be encountered. How a Remote Pilot prepares for and handles the situation will dictate exposure to third parties. A Remote Pilot trained by a quality organisation would usually expect things to go wrong and have a plan for if and when abnormal operations occur. Drones have become business critical and whilst operations remain safe everyone can continue to enjoy the benefits of this valuable tool. The above does not mean that Excluded Category drone operations are useless or that it shouldn’t be used for commercial purposes, simply that employees and employers should consider the pros and cons carefully prior to deciding not to become certified and licensed. Particularly given the now relative ease and low cost in obtaining a Remote Pilot Licence and Remote Operator Certificate. Training is also available for the issue of individual public liability insurance for those that choose to operate Excluded Category drone operations. The benefits of the Excluded Category are often superficial, with company authorisation, safety assessments, and some form of training arguably required in order to comply with safe work practices. Everyone’s situation is different, as to is the way in which liability will attach in the particular circumstance.